Yay, I love the action and the colors! Hope you had a good Christmas, and not up to the New Year. Een fraaie afbeelding, waar vaart in zit Geert. 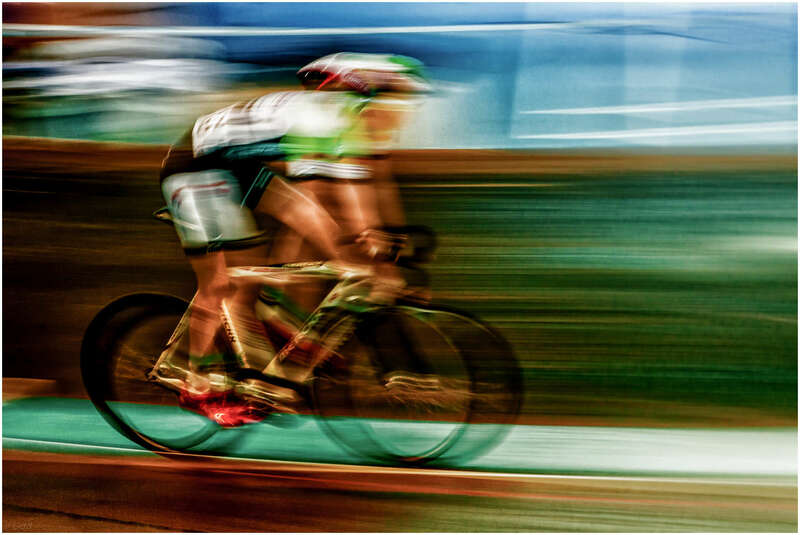 It remind me the Umberto Boccioni paint: the Dynamism of a Cyclist. Maar ff serieus: fraaie bewerking, Geert.